Award-winning long-range motor yacht builder Outer Reef® Yachts is proud to announce the highly anticipated 550 Trident long range sport motoryacht will make its world debut at the 2016 Yachts Miami Beach International Boat Show, February 11th – 15th. The Trident™ Series was developed in cooperation with Setzer Yacht Architects, and embodies a unique synthesis of stylistic innovation, technology and functionality, while applying unique seakeeping attributes revolutionized by the Outer Reef brand. The attractive plumb bow hull design, chic styling elements, and new length options are introduced with the 550 Outer Reef® Trident™ Series, and will continue throughout larger models, up to 106’. The series offers superior performance, increased cruising and top speeds with enhanced fuel efficiency – only some of the many features that lend to her appeal. 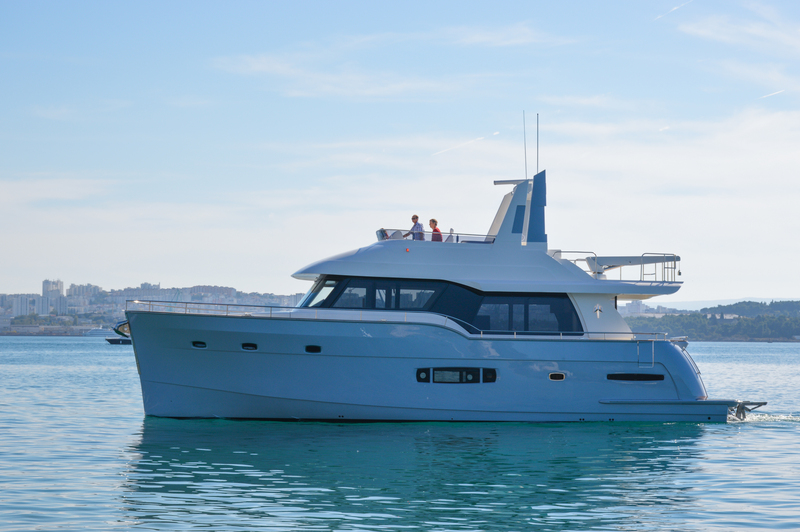 Outer Reef® Yachts will also launch the new 860 Deluxbridge™ Motoryacht at the show. High demand for this skylounge model has greatly increased due to the abundant advantages of a temperature controlled upper helm station, and protection from the elements during blue water and long distance cruising. Outer Reef® Yachts’ 860 Deluxbridge™ layout features 4 spacious owner & guest cabins, 2 crew cabins aft with heads, lounge and galley. Because the upper helm station eliminates the need for main deck helm station, the galley space below is greatly increased, creating an expansive country kitchen for cooking, dining and entertainment. The spacious living accommodations echo the feel of yachts 100 feet plus, and the ample skylounge area provides additional, private and protected dining, entertainment, and office area – all welcomed space options that are valuable during extended journeys. 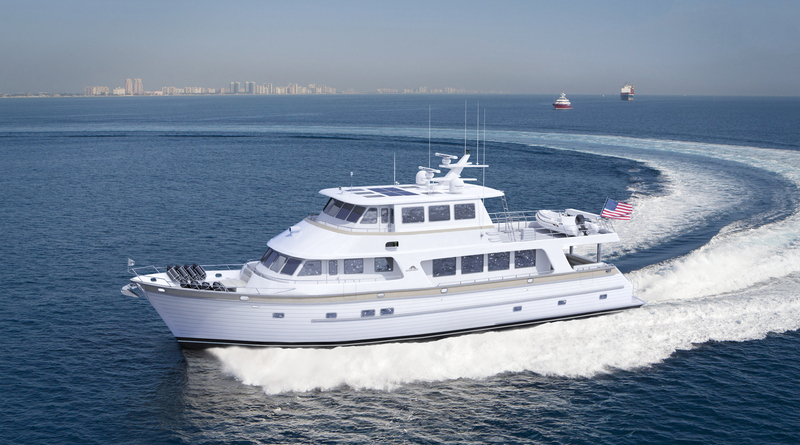 Upgrades include 1140hp CAT C-18's, 55hp hydraulic bow and stern thrusters, Trac Zero Speed stabilizers, twin 38KW Northern Lights generators, and a very extensive electronics & AV system. As with every Outer Reef® Yacht within the collection, the Outer Reef® 860 Deluxbridge™ defines new standards with her cutting-edge technology, robust build, and contemporary appeal.